The place is beautiful, I ordered extra packages and everything was ready and set up! We are looking forward to returning for a longer stay! Cool little spot. Heat was on when we arrived, decent sized cabin. The spa was really nice and the view is spectacular. The only thing we had an issue with was the front steps leading up to the place were covered in snow when we arrived and it was extremely difficult to get in and out of the house, not the owners fault just need to be careful and the smoke alarms needed to have the batteries replaced, other than that this is a great cabin, no complaints. Dear Rochelle. Thank you for giving us a great rating and for recommending Cool Cabins to other travelers. I’m sure our entire staff enjoyed catering to your needs as much as you enjoyed your stay. Take care! The pictures are misleading, the den is not kept up well - ancient equipment inside, very small rooms on the first floor - the smell - still hasn't left my nostrils. Light care would make this place a little better, but the management company & owners don't feel the need to make any improvements. Its only saving grace its about 1.5 miles from the mountains & close to shopping spots. rooms are on the first floor, the living area at the top floor. I went during peak times spent over 600/night - total rip off, again if you can get this place for less than 250/night its a fair price. Dont expect much. Dear Guest, We're very sorry for the issues you experienced at this property during your stay. Thank you for letting us know so we may improve and make our cabins better for you and other guests. 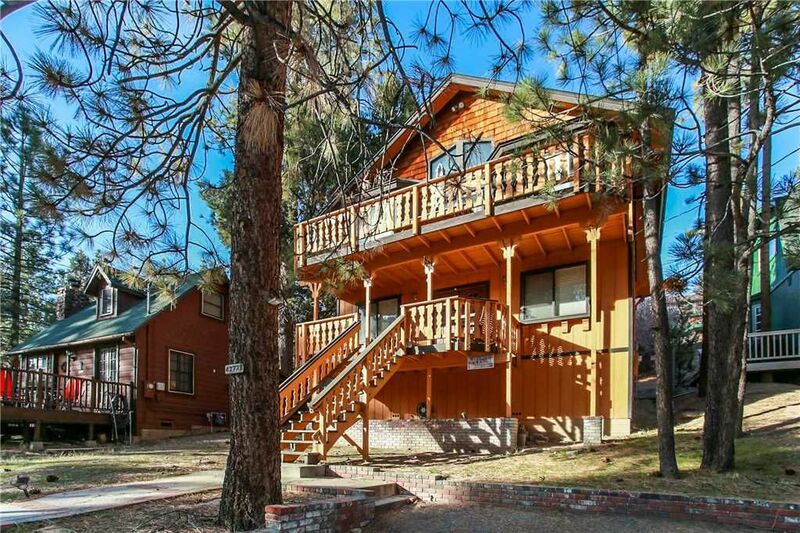 We hope you will return to Big Bear soon and stay with Cool Cabins. Overall, a beautiful cabin and a magical vacation.